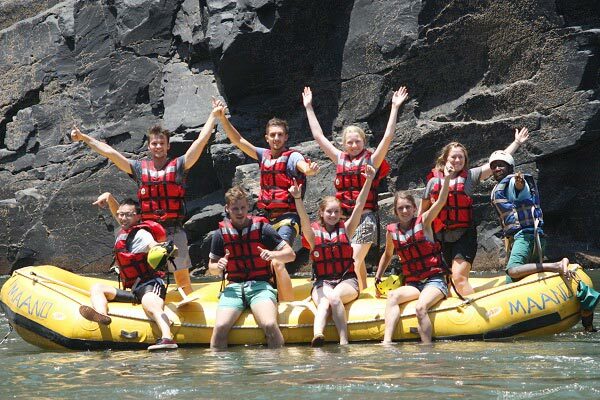 A very popular and spectacular experience in the beautiful Batoka gorge on the Zambezi river. 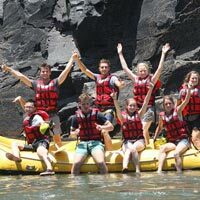 You will take a walk down the gorge to the starting point below rapid number 10 through rapids Overland truck eater, The three ugly sisters, The mother, The washing machine, Terminator one and two, Double trouble or Judgement day, Oblivion, up to The afternoon showers. After the rafting, you get a cable car lift out of the gorges.